We're here to help with your payments and subscriptions. Are you an existing customer with questions about the billing for your Premium Webs Hosting account? Do you need to upgrade, renew, update your payment information, etc? If you are a current customer with billing questions, please click the button below to contact us. Contact Us Note: You can also manage all aspects of your premium Webs account by logging directly into your Webs account. Once logged in, go to Panel and click on "Manage Billing". Do you see a charge from "Webs, Inc" on your statement that you do not recognize? If you do not remember creating an account with Webs or feel your payment account has been compromised, please contact us right away so we can resolve your issue. Contact Us Note: Webs, Inc takes potential fraud very seriously. If you are an existing Webs customer please click here to contact our billing team. Accounts reported as fraudulent are deleted permanently. We want you to have the website that's best for you. That's why we offer a 30-day, money-back guarantee on our premium services. 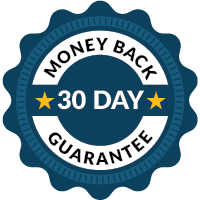 If for any reason you aren't satisfied, simply cancel your services within 30 days to receive a full refund of everything but domain name registration and overage charges. Once you purchase a domain, it's yours to keep, whether or not you build with Webs. Frequently asked questions about your Webs account billing.